Are you in website/content keyword quicksand? Do you feel like you just can’t make any ground? You are not alone. You’ve done a keyword search about keyword searches so you can develop a strategy for your keywords so that when other people search your businesses they are finding your content with the right keywords and the search leads to you! WHAT? I know, it can be frustrating but take a breath, it doesn’t have to be that overwhelming. (By the way, that wasn’t intentional keyword stuffing, I was searching for a way to make my point 😉). We have all heard of SEO (search engine optimization) by now. Keywords are the foundation of SEO. No keywords = no SEO. Before we get into some valuable resources available to you, let’s cover some basics. When search engines first came on the market and created algorithms to share the websites closest to what people were looking for, they scoured websites for the exact words people were looking for. This resulted in some not-so-great websites that hijacked the system by using a keyword (or multiple) over and over again, in an almost nonsensical manner. So how does this relate to your website now, surely search engines have advanced to being able to deliver the right content to people looking for it? We'll get there one day, but as of right now - not yet! Keywords are still important for search engines to know what your site is sharing with it's visitors. No longer are keywords the only thing on your website that matters to search engines, but they still matter in helping search engines find your website in the first place. And the most basic, a word you type in that box to find what you are looking for. Now let’s breakdown the three different types of keywords: head, body, long-tail. A very broad descriptor that is very competitive (a lot of people using it) and expensive if you are going to pay for it in an ad campaign. Usually 2-3 words, these phrases will direct a search to content that’s a little more specific than a head word, but still a little generic. These phrases are very specific, something a buyer would type versus someone browsing. This type is also easier to rank higher on a search because there are less like it. You will have fewer people using something this specific but instead of having a ton of casual lookers you will have a few serious buyers. Long-tail phrases are for quality leads, not quantity onlookers. When researching keywords for your website, it is important that you have a blend of all three types of keywords. The key to having successful keywords is making sure that your “portfolio” is balanced. Think of the different types of keywords as part of a conversation. You will start broad with head words and as the conversation continues your customers are coming closer to committing to a sale and looking for more in-depth knowledge and information. How Do I Do SEO Keyword Research? You don't need a special tool or a degree in order to do keyword research. You just need about 15 minutes, a little brain power, and a pad and paper - seriously, that's all it takes! In four easy steps you'll have the keywords you'll need to help search engines find your website. Follow along with out own, free Avatar worksheet to create your own, click here to download it! Doing this will give you the perspective you need to decide which keywords to choose for your businesses’ website content. Now that you have a buyer or two created, make a list. Think like they will. Write out 5-10 topics you want to show up for in search results that directly relate to your business and brand. For example, if I was a foodie blogger, specifically about donuts in the Boston area my topics would be donuts, donut reviews, boston food, new england food, boston breakfast, etc. Super simple! Actually, don't spend more time on this than just two minutes., you don't want to overthink your website topics. Next you're going to write underneath these topics specific keywords that relate to these topics and are even more specific to your business and brand. 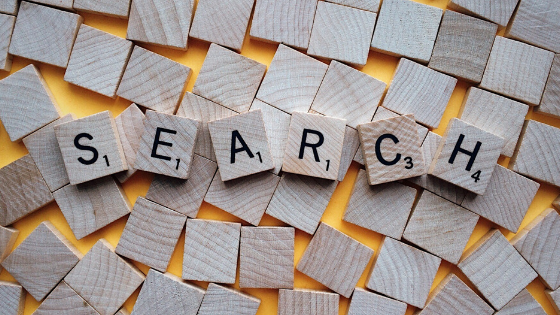 Narrowing down to these specific keywords will help search engines connect you to the right audience (like you've already spent the work doing for your business, but if you haven't already, click here to figure out your avatar in our free download!). Remember you’re looking for a variety of keywords: head, body and long-tail so your keywords should reflect that! Once you have a long list, narrow it down to those that pertain to your audience and your business (as it is now). NOTE: It’s really easy to say “I want to focus on x soon, so I’m going to start including that information and keywords on my website.” If you do this and don’t currently have information on “x” yet, it will hurt your website in the long run. Always focus on what you deliver now and as you develop, you can further enhance your website! Spend some time researching what is out there and is already attracting attention. These are the current trends and familiarity with them is crucial to your success. There will be bigger companies using many of the words or phrases that fit your needs. It can take a long time, if ever to climb up the rankings against them. That said, how do you compete? Search for terms that are niche specific to what you offer, think back to your elevator speech and audience - what sets you apart? Go to Google and enter your keyword, stop. Scroll to the bottom of the page and use the Related Searches as a stepping stone to guide you towards new keywords. Enter something from there in the search box and do it all over again. Go to Wikipedia (yes Wikipedia) and enter something related to your topic. Again, scroll down. Look over the content section and the external links. There is valuable information to be gained by doing a little digging. There are a variety of tools you can use to narrow down or research your keywords. These programs show you how well something can work, trends from real data, and SEO simulations. They are all unique so spend some time exploring different sites and then go with what you’re comfortable with. You’ll definitely want to cross reference similar data between these platforms. Lastly, trim your list to the words and phrases that most directly relate to your business and audience. I recommend starting with about 20 keywords. As you become more advanced and your business grows, you can include more keywords, but we want to keep it simple and too the point when we first start. After you've decided on the top 20, you've completed your website keyword research! Give yourself a pat on the back (and if you're like me, allow yourself to eat that cookie you've been saving for when you finished this project). How Do I Use SEO Keywords On My Website? In an ideal world, you would take the entire list you just created and apply it to your website, but when you're an SEO beginner, you don't have time for that! Instead, you're going to take the top ten words from this list. From this list of ten keywords, you'll choose 2-3 to apply to a page of your website, except the homepage. Just like you focus your business on a particular avatar, you want to do the same with the keywords you use on each page of your website. Let's switch up examples and look at a yoga studio. This particular yoga studio offers bikram yoga, guided meditation, postnatal yoga, and aerial yoga. This yoga studio has a page for each of these yoga types, to better explain what they are and share the class schedule for them. On each page I would then have 2-3 keyword or phrases I use throughout the page copy and in the SEO data (page title, page description, page url, etc). I would repeat this on every page with one exception - my homepage! On my homepage I want to include not only 2-3 keywords, but potentially a keyword from every page of my website and then some general keywords that pertain to my overarching business (like "yoga studio," "boston yoga studio," etc). Don’t get frustrated with trying to come up with the perfect recipe - finding the right keywords for your business’ website will take some research and practice. By utilizing the tools that are available to you, and using them often, you'll find the perfect recipe for your business! Measure your successes and misses and review your site often. Make sure you change and improve your keywords as you go. If you do get frustrated or need some extra support along your way, join our Online Entrepreneur Facebook Group (click here to join) to find the help you need!